In a town as peculiar as Maggody, Arkansas, it doesn't take much to tip the community into chaos. When Mayor Jim Bob Buchanon's SuperSaver Buy 4 Less takes out a full-page ad boasting the new supermarket's authentic tamales, gourmet deli counter, and various other bells and whistles, every restaurateur in town fears that Jim Bob is going to put him out of business. So when it comes time for the Buy 4 Less's gala opening, one citizen decides to play dirty, slipping something into Jim Bob's famous tamale sauce that leaves twenty-three unsuspecting attendees sick with food poisoning-and one dead. 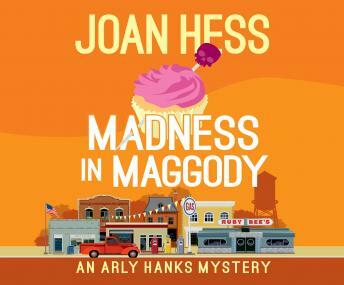 Madness in Maggody is the 4th book in the Arly Hanks Mysteries, but you may enjoy reading the series in any order.